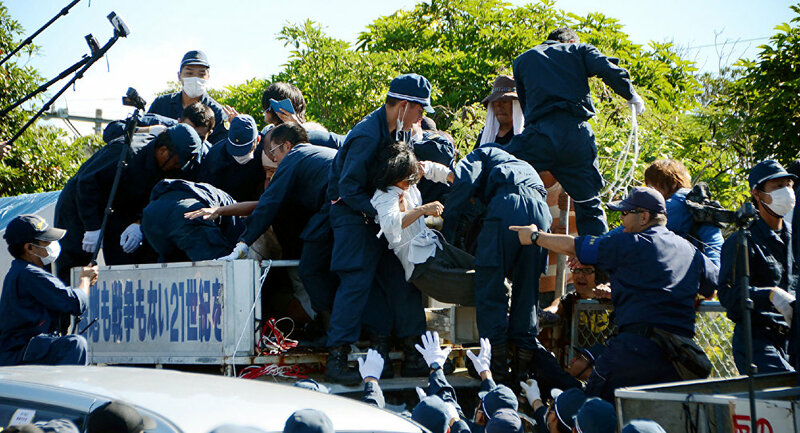 Some 4,200 protesters rallied Thursday in Japan’s southernmost island of Okinawa against US continued military presence, local media reported. TOKYO (Sputnik) — The rally in the city of Nago was timed to a ceremony in which almost 10,000 acres of US training grounds was handed back to Japan in exchange for the construction of six helipads nearby, presumably for Osprey military aircraft. Okinawa residents said the agreement only transferred the burden, according to the Kyodo news agency. The region’s Governor Takeshi Onaga boycotted the ceremony, opting to go to the protest instead. — Daily News (@MinecraftTimez) 22 декабря 2016 г. ​Tilt-rotor Osprey aircraft have been involved in four crashes and a number of other mishaps since 2007, raising safety concerns on the island. They were briefly grounded after an Osprey crashed in shallow waters off the island last week. The ban was lifted this Monday. There are more than 25,000 US soldiers stationed in Okinawa. The prefecture’s governor is in a conflict with the central government which plans to relocate the US base within the island.